While I'm off gallivanting around Disneyland and eating my way through the Natural Products Expo, I'm leaving you with a guest post with a musical analogy by fellow speaker and author Steven Cohen. See you next week! If you want to become a powerful public speaker, you must think like a composer who is creating a powerful piece of music. 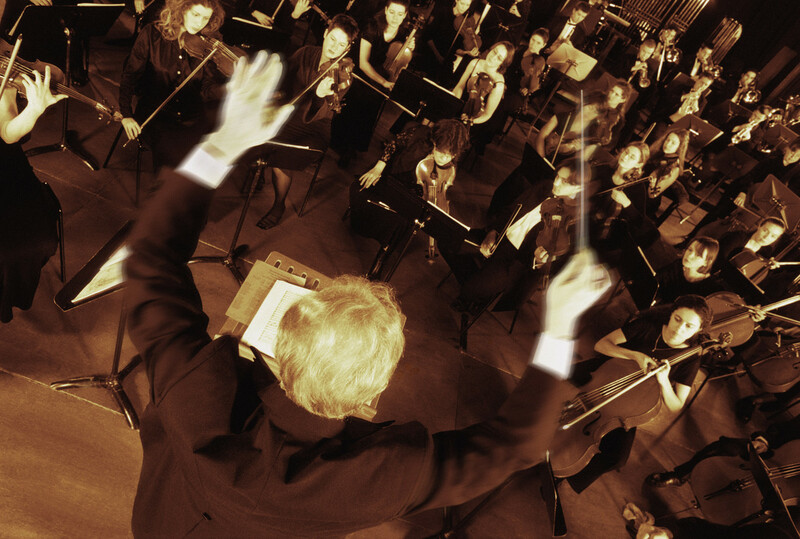 Your goal is to harness the music of your voice to take your audience members on an emotional journey. The first step to creating a musical masterpiece is to decide on the theme. Often, a composer will start with a simple one-line melody or a melody with an accompaniment, and build the rest of the piece around that theme. You probably have heard Ludwig van Beethoven’s famous Symphony No. 5, which is based on just four notes. These four notes present a “fate knocking on the door” motif that is revisited throughout the piece. You can deliver an equally meaningful speech if you focus on the main message that you want to convey. Surely, you will explore a variety of supporting ideas throughout your speech. However, you can reinforce your primary theme – your one big idea – by redelivering your most important message over and over again in emotionally evocative ways. Composers are experts at using different musical “settings” to elicit specific types of emotions. For instance, Elmer Bernstein’s The Magnificent Seven begins at a comfortable pace, with loud and assertive proclamations from the full orchestra, before launching into a galloping theme that evokes the adventurous Wild West. But Gustav Holt’s Mars, on the other hand, features low-pitched brass instruments with a deep, dark drone that state and restate the main theme, which starts soft and gets louder before fading away, evoking a menacing, ominous, and otherworldly musical image. Mario Savio was a composer in his own right when he leveraged tempo, volume, and rhythm in his 1964 sit-in address at the steps of Sproul Hall to motivate his audience members to act. Savio spoke about the power of non-violent civil disobedience with a tensile rapidity, without dramatic pauses or thought breaks. The panting Savio spoke quickly and assertively to generate excitement and inspire his listeners to “put [their] bodies upon the gears and upon the wheels, upon the levers, upon all the apparatus… to make [the machine] stop!” Savio’s use of musical elements enabled him to harness the energy of a crowd calling for change. You can apply this idea to your speech by varying the musical elements of your voice to produce the desired effect. Think about dropping your pitch to emphasize a point, speeding up your tempo to create a sense of urgency, or increasing your volume to generate excitement. How you deliver your speech really counts! But what matters most is the end of the speech. Composers understand the importance of the ending and often use a crescendo to signal to musicians that they should gradually increase the volume of their instruments. For example, Gustav Mahler’s Symphony No. 5 closes with a jubilant chorale featuring the brass instruments that includes crescendos during the sustained notes. Like Obama, you will be able to end your speech with conviction and power if you use a crescendo to make your audience members feel like they are climbing to the peak of a mountain. A well-placed crescendo will help you heighten anticipation, create momentum, and leave a lasting impression. Steven D. Cohen is an award-winning speaker who teaches communication at Harvard Extension School and the University of Maryland. An expert on speech delivery, Steven researches and writes about the verbal and nonverbal techniques that professional speakers use to design and deliver powerful messages. He is the author of Lessons from the Podium: Public Speaking as a Leadership Art. Learn more about Steven here.